Over the past fifteen years or so, I have become a really big fan of spicy food. I typically eat spicier than many folks around me. I love spicy Thai, Mexican, and Chinese food to say the least and I typically steer towards ordering a spicier dish if I am going out to eat. There is something about the heat, when done right, that enhances the flavor of the dish. This salsa could be one of the best I’ve created in the last few years. Sure, I’ve made a variety of Mexican-style salsas such as a Thai salsa, a Thai dipping sauce, even a habanero hot sauce and serrano hot sauce. I have no clue as to why I have left out the idea of making a jalapeño hot sauce, so it was my turn to make something amazing, and wow, was this one ever awesome. As I have an abundance of jalapeño peppers growing in my garden, I figured I had to use them up, and hence the idea for this sauce. Trust me on this, you will be spooning it on everything. It’s really that good. Add the jalapeños and tomatillos to a baking sheet. Place in the preheated oven for 25 minutes, or until lightly roasted. Using tongs, carefully place those into a blender or food processor. Add in the garlic, water, lime juice, sugar, and vinegar. Season with about 1/2 tsp salt to start. Blend until the sauce is thinned out. You are not going for a thick sauce here. Add a bit more water to get it to the consistency of a ‘taco’ sauce. Taste and season with any additional salt. Pour into a air tight container and let cool before covering. This can sit in the refrigerator for a couple of weeks, if not longer. The flavor of this jalapeño hot sauce is spectacular. It has just the right amount of heat, meaning, I was not sweating at first bite, nor did it kill my palette when serving it alongside breakfast, lunch, and dinner items. This very well could be one of my favorite sauces that I’ve made thus, so I hope you enjoy. I’ve made “this” with chile de arbole and it was a bit too much heat for me so am looking forward to giving this a try. 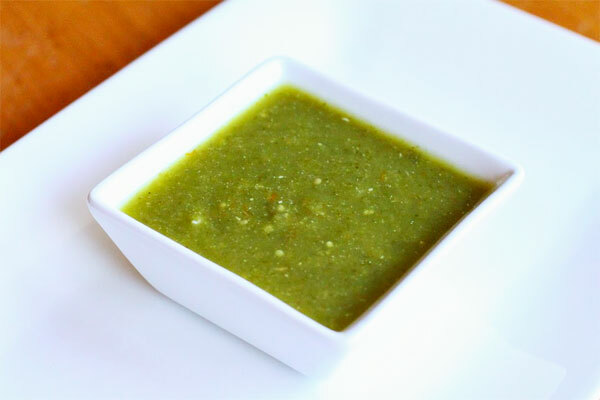 I love jalapeno and their flavor of heat – thanks for the recipe! I make a jalapeno butter that you may enjoy. Top and seed the jalapenos and boil them in water for 10 minutes. Place in blender and add good quality olive oil or grapeseed oil until emulsified. You can do this with any pepper. It is intense and beautiful.